Open enclosure by releasing the red locking clasp and lift the cover. Remove the included Fast Set Mouse Trap from inside the enclosure. 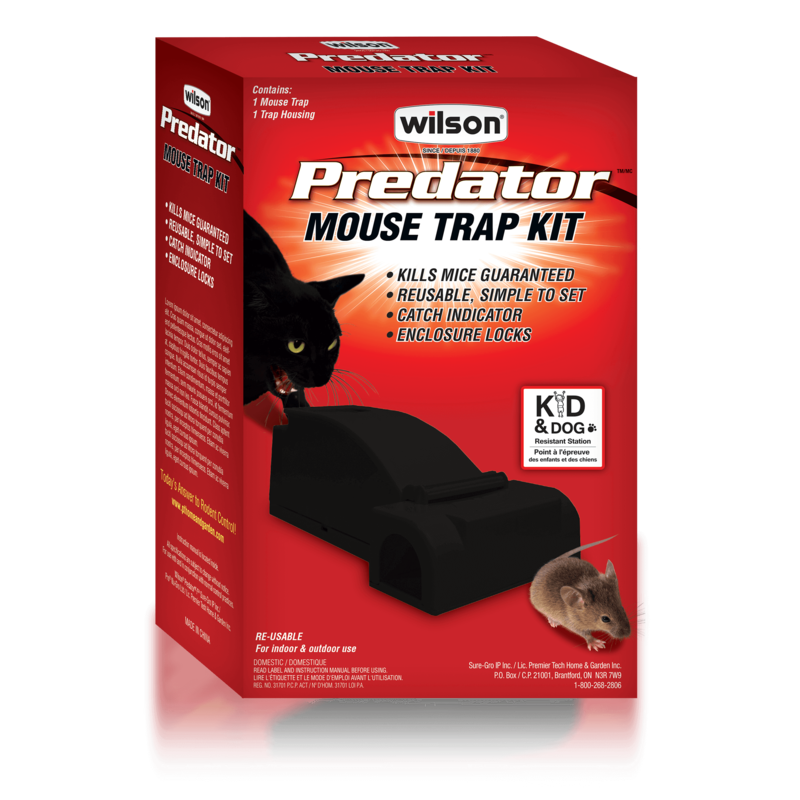 Load the Fast Set Mouse Trap’s bait well with the bait of your choice (we suggest Peanut Butter). Replace trap inside the housing, with the bait well facing the entry tunnel. Carefully close the enclosure cover and snap the red locking clasp into place. Place the entry tunnel at a right angle to the wall where mice run. Red bar will appear in the catch indicator when a mouse is caught. When mouse is caught, open the enclosure and remove trap. Open trap to release mouse for disposal. No need to touch the mouse. Reset the trap and enclosure by returning to Step 3.